Skillman Genealogy Archives - Skillman Family Association Inc.
As previously mentioned, the Reverend William Jones Skillman original letters, and other documents were found, digitally photographed, and then the originals were placed in the Archives and Special Collections at Rutgers University. As magnificent a work as is “Skillmans of America and Their Kin”, the Collection contains even more. The best of it captures a little about the lives and the personalities of our ancestors more than one hundred years ago. The collection is available in the SFA members section as pdf files. The first pdf file contains Box 1 F1 to F5 (Folders 1 to 5) and these are the subject of this Blog. If you attempt to read the original letters, I would note that the + and – zoom feature is useful in making out the writing. It took me a year to photograph the whole collection, besides the time spent interpreting the handwriting; unfortunately a few are also slightly out of focus. So much could be written about the letters. Each time I look at them I see more. I have tried to limit this to what stood out to me. These are my own impressions and could be wrong. Comments would be appreciated, even if it is just letting us know you read the blog! While photographing the collection, I noticed that beyond the content of the letters themselves, the envelopes and stationary provide a wealth of historical information. The envelopes and stationary are from The Mohawk Hotel, Brooklyn NY, and postmarked March 27, 1907 at 1:30 p.m. So Elizabeth mailed it the same day it was written. The Mohawk Hotel is now The Mohawk Apartments, 379 Washington Avenue, Clinton Hill Historic District, Brooklyn New York. “An upscale residential hotel”, it had been built a mere 3 years earlier, in 1904. Perhaps Elizabeth was living here at the time. The irony of the use of a Native American image and name, is not lost on me. It would be deemed politically incorrect now, but was quite common at the time. In reviewing the letter, I realized that Elizabeth was the daughter of Francis Skillman. Francis Skillman was the Author of “Skillmans of New York” and was a former friend of WJS. Francis had passed away in 1898. Elizabeth mentioned that the letter had been forwarded from Roslyn, where Francis had lived. Even though it was nine years after his death, could the Reverend’s letter have been meant for Francis? You would wonder too, if you knew what I know! However, this story is about Elizabeth’s letter, so I will end the discussion there. I will save the subject of Francis, the Reverend and how their friendship may have come to a startling end for another time. Box 1 F2 does not have much that is noteworthy, except that the person WJS was trying to find had died. One insight emerges from the address on the envelope. 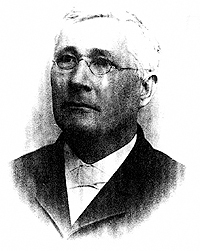 One could reconstruct the movements of the Reverend William Jones Skillman himself, from the many addresses he had over the years. Being a Reverend he moved to different parishes. Box 1 F3 is of interest to all of the descendants of SOA #8 Jacob3 Skillman (including myself), being a reference to the land he once owned. We learn that Jacob bought land in Kingston, New Jersey from the Widow of Barefoot Brinson, rather than from the man himself, as it appears in SOA. There is a record of Jacob’s Grandson SOA #53 JACOB5 SKILLMAN (Abraham4, Jacob3, Thomas2, Thomas1), and wife Sarah selling some of the land. Earlier more of the land had been sold, eventually going to Lemuel Scudder. The exact layout of all of Jacob’s land is in question. There he bought land (600 acres says tradition), and built the first mill at that point, just where the Great Road between New York and Philadelphia (halfway between the cities) crosses the Millstone. There also he opened a store, and besides kept a tavern. 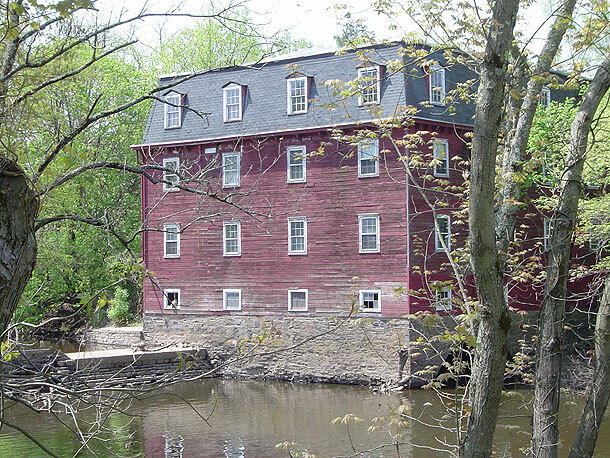 The likely spot is the current location of the Kingston Mill (a later Mill built in 1888) by Route 27 in Kingston, New Jersey. 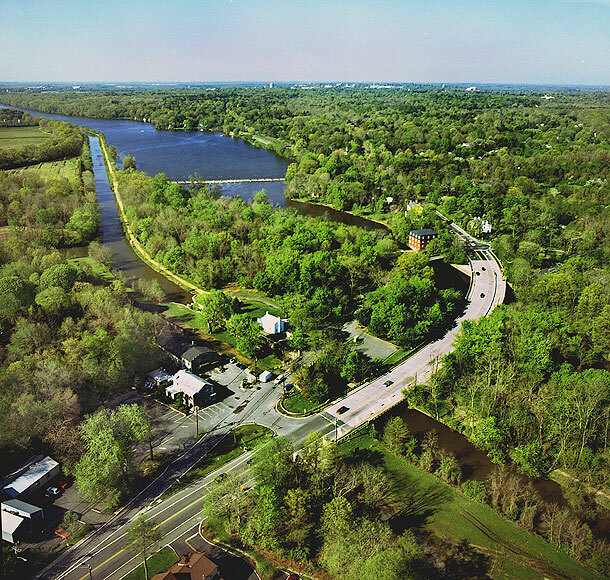 Another possibility is Scudder’s Mill Road, Princeton NJ, since Jacob’s Mill eventually went to Scudder. When I read the first letter, the thing that struck me was on the back of the envelope. There is written “good natured, pleasant letter”. I soon learned to recognize the black ink and handwriting of the Reverend William Jones Skillman himself. Not only do we get a letter from 1876, but we get the Reverend’s own thought about it and a hint at his personality. There would be many more to come. Indeed reading the four letters from her; I would agree with his assessment of them. Eliza’s letters are pleasant, and she was very helpful. She made a good many inquiries to help with the family history. Many of the people she talked to, then corresponded with WJS as well. Words of Wisdom from Eliza: “When we are young we are looking forwards, it’s only when we are growing old that we look back.” And “I am obliged to you for furnishing me with the names of my ancestors, it is wonderful to trace a family back so far.” We are all still obliged to the Reverend, and will be, far into the future. Thanks to all who have or continue to contribute to Skillman Genealogy and the Skillman Family Association, including Bill Skillman, Greg Skillman, Ken Skillman, Lee Fleming, Michael Wrona, and of course especially to the late John E. Skillman III. The best way to find if there is a letter written about or especially by your direct ancestor, is to find the most recent ancestor (late 1800’s to early 1900’s) that has been assigned a number in “Skillmans of America and Their Kin”. Then search in the Finding Aid by that number, in the form SOA #___. In example, the Reverend William Jones is SOA #165. I am willing to help, if you need assistance checking for a letter. It is with sympathy we announce the passing of John Earle Skillman III, the Skillman Family Association’s President. As the Association’s first President, John pursued his vision of creating a Skillman family presence on the internet as a means of enhancing dissemination of the family’s substantive history. With that goal in mind, he worked diligently over the last two years providing the leadership to create the formalized Association structure and technology development to enhance its communication network for the future. His intent was to continue the great early-twentieth-century work of the Reverend William Jones Skillman, one of our great family forefathers. Now, just over a century later, our group has succeeded in realizing the first stage of John’s vision. In one year, John managed to develop the Association’s formalized structure. He completed the development of its’ by-laws, and with the assistance of his son, Ken, they designed and crafted the Association’s first web site. John’s family was further represented by his daughter, Lee Ann, who graciously agreed to be the Association’s first Secretary. John was particularly proud of his success in achieving recognition by the IRS of the Association’s 501(c)(3) non-profit status; an accomplishment that was two years in the making. John’s ability to look beyond some of the complicated issues in setting up an association and stick to the course at hand was one of his best character traits; his vision, intelligence and writing skills along with his keen interest in our family history are some of the wonderful attributes that I will surely miss. John also had a sense of humor during our communications which demonstrated his resilience to those around him. His humor and social networking abilities easily engaged the individuals he came in contact with. John’s many outstanding accomplishments are listed in detail in his obituary. In recent months, one of the items John and I discussed was my willingness to take over as the President of the Skillman Family Association when the time arrived. I have agreed to do so and hope that you will be patient during this time of transition. Our thoughts and prayers go out to Ellie, his wife, and their children: Ken, Lee and Paige during this difficult time. The President, Vice President, and Genealogist of the Skillman Family Association all use RootsMagic™ to organize and store data on their respective family trees, and we heartily recommend this software to all Association members. It can be downloaded for $29.95 from the RootsMagic™ website at www.rootsmagic.com. There is also a free version, which I do not recommend, because it does not have many of the features that are described in this blog. RootsMagic™ is only available in PC format, but they are working on a Mac version. There are many great features to RootsMagic™, most importantly the ability to record supporting documentation or data for each and every event, such as the name of the individual and the date and place of his or her birth, marriage, death and a myriad of other facts, like education, occupation, etc. Once a reference source is entered and saved, it can be reused for other individuals to whom it applies. For example, a census record, once entered, can be applied to every member of the family listed in the census without retyping the information. Your family tree in RootsMagic™ can be viewed in several different formats and the information can be retrieved in several different ways. There is a relationship calculator to help you determine the relationship between any two individuals in your database, and the relationship to you also appears in the lower left corner of each person’s screen. If needed, you can retrieve all events that took place in a certain city, such as which Skillmans lived in Kingston, NJ? RootsMagic™ will also form all of your events into a cogent sentence for a narrative report. 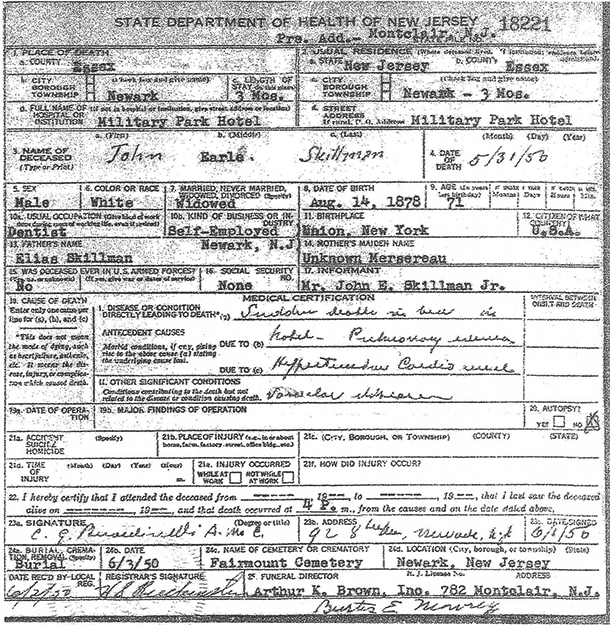 For example, if John Doe was married to Jane Smith (fact) on 18 June 1865 (date) at the Dutch Reformed Church (place detail) in Franklin Park, NJ (location) by the Reverend William Vanderveer (description), RootsMagic™ will take all of these separate facts and compose them into a single sentence. There is also a media function where you can add several photos and documents pertaining to each individual. There is a publisher function that allows you to publish your family tree in a complete book at any publisher. You can write descriptive pages, such as a dedication page, an acknowledgement page, etc. When you save your book as a PDF file, it automatically creates a table of contents. You can then take the PDF on a disk to Staples, Office Depot, FedEx Office, or any other publisher you may choose. I have recently published a book showing all of my and my wife’s direct ancestors going back ten generations. It contains an ancestor chart and a narrative report on the direct ancestors of each of us. The narrative report also includes a photo of each ancestor, if I have one. The entire book runs 82 pages and it will be a treasure for our descendants. Importantly, RootsMagic™ is the only software certified to add and share data with FamilySearch Family Tree. RootsMagic™ software is complex enough to have all the bells and whistles you need for your family tree, but it is also fairly intuitive. When you are getting started, you should watch the various free webinars which explain particular functions of the software. If you are using another vendor’s software and are not satisfied with it, you can switch to RootsMagic™ with a GEDCOM file. I used another program for many years, but for reasons I won’t discuss here, I changed to RootsMagic™ several years ago. RootsMagic™ is based in Utah and they have a terrific technical support desk to help you with any questions. The brains behind RootsMagic™ is Bruce Buzbee, whom I have met on a few occasions. It is a small family company that does its best to please its customers. The Skillman Family Association recommends RootsMagic™, particularly if you are just beginning to research your family tree. Every serious genealogist attempts to provide one or more sources for each fact and event in his or her genealogy. Complete and accurate source citations are the stock-in-trade of the Board for Certification of Genealogists® which offers the Certified Genealogist (CG) designation. Whether you are a beginning or experienced genealogist, every effort should be made to source your data. In general, there are two types of sources for genealogical data, primary and secondary, and the dividing lines between the two types are often blurry. Primary sources are considered to be those which are recorded at the time an event actually happened. Secondary sources are those recorded at a later date. Birth certificates and marriage certificates are primary sources, since they record a single event at the time and place it actually happened. But what about death certificates? The record of the date and place of death is a primary source, but the date and place of birth of the decedent and the names of the decedent’s parents are reported by the informant, and they may or may not be correct. They are therefore secondary sources. One can say the same thing about gravestones. The date of death is invariably correct, it being a recent event, but the date of birth may be incorrect. Similarly, family bibles would be considered a primary source if the event is recorded at the time, but a secondary source for all births, marriages, and deaths recorded some years after the event took place. In my searches for my ancestors, I have visited hundreds of gravestones. Not surprisingly, I have found many with an incorrect date of birth, or at least an inconsistency with another record, such as a census. Events such as birth dates that are reported years after the fact are often incorrect. For that matter, any data which depends on the recollection of someone else can often be wrong. A perfect example is my grandfather’s death certificate. My father never knew his paternal grandparents, both having died before he was born. He also hardly knew his father’s brother and sisters, if at all. His closest paternal relative was a first cousin, the daughter of one of his father’s sisters. So his familiarity with his father’s side of his family was limited at best. As I mentioned in my previous blog, my mother was the family historian who kept track of her own family as well as my father’s family. When my father’s father died in 1950, my father was the “Informant” on his death certificate. When he was asked for the names of his father’s parents, my father replied “Elias Skillman” and “Unknown Mersereau.” In actuality, his father’s parents were John M. Skillman and Angeline Randall. The names he listed on his father’s death certificate as his father’s parents were actually his father’s grandparents! So, as a passionate genealogist, I am embarrassed to say that my own father was a very unreliable secondary source on his father’s death certificate. So be careful in your family research, as all may not be as it appears. In the early 1700s, the third generation of Skillmans began a westward migration to central New Jersey from Newtown (now Elmhurst), Brooklyn, and other parts of Long Island. In general, they settled in Somerset, Mercer and Hunterdon Counties. Although Thomas1 Skillman had married Sara Pettit (Petit), an Englishwoman, his son, Thomas2 Skillman, married Annetje Aten, a Dutchwoman. Largely because of the influence of the mother on the family, the third generation of Skillmans began to intermarry with the Dutch families of central New Jersey and the Skillman family began to take on a distinctly Dutch identity. Nearly all attended the Reformed Dutch churches in the area, some traveling great distances to do so. There are many other Dutch surnames appearing less frequently than those above, as well as variant spellings of those above. My own 3rd great grandmother was a Van Duyn. So it is clear from the prominence of Dutch surnames in our family tree that the Skillman family in America has been strongly influenced by our Dutch ancestors. There is no record that our American ancestors walked around in wooden shoes, but don’t be surprised if you have a natural affinity for De Kuyper liqueurs and the paintings of the great Dutch Masters! 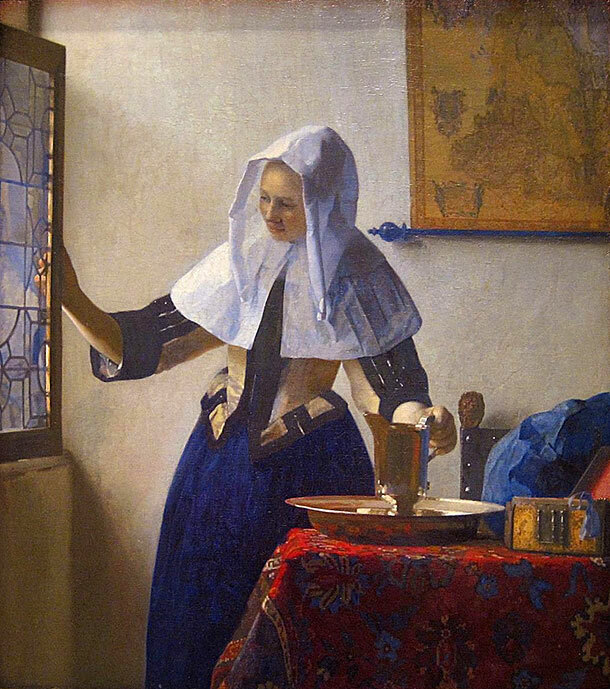 Woman with a Water Jug , also known as Young Woman with a Water Pitcher , is a painting finished in the Baroque style between 1660–1662 by the Dutch painter Johannes Vermeer. William Jones Skillman, Rutgers Class of 1860, Returns to Campus! On April 20, 2013, the Reverend William Jones Skillman’s original letters, notebooks, and other documents which he used to compile the family history, returned to the place of his studies so long ago! The Reverend William Jones Skillman Collection was discovered in an antiques shop in Connecticut. The collection was purchased by three Skillman descendants, John E. Skillman III, Michael J. Wrona, and myself, Jay Skillman. Now at the Archives and Special Collections at Rutgers University, his collection has finally found a permanent home. Ninety-nine years after his death, I feel that, along with his life’s work, a special, more intangible part of him has returned to Rutgers. Spending 2012 reading the entire collection, I came to get a sense of the Reverend. You could tell when his feelings had been hurt, see his humor, his anger, his personal beliefs, and even his sense of wonder within pages written as long as one hundred and forty years ago. Now all of his notes and all the letters he kept that were sent from people across the United States and beyond are preserved at his alma mater. While William Jones Skillman had “The Skillmans of America and Their Kin” published first in the Princeton Press, and later in “The N.Y. Genealogical and Biographical Record” in 1906-1908, there is more to be learned from the non-published part of the collection. Some letters serve to give a sense of the person. For example, there was one correspondent whose only interest in the family history was monetary gain (this really angered the Revered, who said “why not get out of the devil-clutch of greed and money!”). There was another whose political views were made clear — “All Skillmans is [sic] Democrats.” Some tell a little something about themselves, like being intelligent but illiterate and needing a relative to write it down for them. One spells phonetically, but at least he was able to express himself. Some family secrets were directly revealed, and other hints have already led to new discoveries. 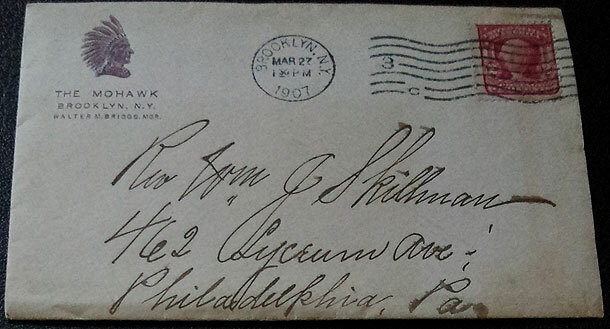 Finding out James Carnahan Skillman was a detective was the lesser of the two surprises his letter revealed! A notebook reference to a Skillman changing his name to Stewart has now led to the discovery of living Skillman-Stewart descendants. The Reverend pondering the possibility that the Dutch Schillemans could be related led the Skillman DNA Project to test a Schilleman, but the one Schilleman who has tested so far is not related to the Skillmans. All this, and more, will be discussed in future blogs, and the Collection Finding Aid and images of the actual Collection itself will be appearing in the Members Only section of the Skillman Family Association website. SC/UA is open 9:00 a.m. to 5:00 p.m. Monday through Friday and Saturday afternoon from 1:00 p.m. to 5:00 p.m. In the Alexander Library follow the signs for the Archives and Special Collections, however the Collection is not in this room. The Collection is now housed in the Archives underground climate controlled vault, but by filling out a simple request slip, it can be brought up from the vault for viewing. This is a very simple process and takes only a few minutes (I have examined items from the vault myself on several occasions). The Finding Aid will be made available online through “The Genealogical Society of New Jersey” website http://www.gsnj.org and may also be available in the Rutgers Library computer system. There may be a short delay until the Collection is available as a call number etc. will need to be assigned to it. The Genealogical Society of New Jersey has officially taken possession of the collection, as much of the Archives are actually owned and administered through them. Jay Skillman turning in the Collection to Janet Reimer. Michael Wrona had provided the handsome compact boxes for hundreds of letters, notebooks and more, making thousands of pages neatly filed in acid-free folders to protect them! My sister Gail and I delivered the collection to Rutgers, which was highly appropriate as we are both fellow Rutgers graduates and also descendants of the Reverend’s Grandfather William Henry Skillman. While there, we spent some time on campus sharing the nostalgia of again being among buildings that were there when William Jones Skillman studied there. I would like to thank Janet Reimer, GSNJ Manuscript Chair, and retired (yet still working) University Archivist (the Original University Archivist as she likes to say)! Her efforts expedited the Collection reaching its new home! Additionally, I would like to thank Michael Wrona for processing the collection and creating the first Finding Aid, this in turn helped me to read, digitally photograph, and add to the Finding Aid. Also, thanks to John Skillman and Bill Skillman whose help was invaluable. Finally, thanks to the Reverend William Jones Skillman himself, to whom all Skillmans owe a great debt! Would you be proud of them or not? You shouldn’t care to know.